Spiking drug costs pressure Oregon Health Plan as care organizations get squeezed. Six years ago, Oregon adopted a bold vision of health care reform, helping cement the state's national reputation for sparking progressive, innovative change. But making those reforms a reality has proven more daunting than the dream. The program that the reforms aim to change, the Oregon Health Plan, serves one in four low-income Oregonians — but it affects everyone. It costs more than $6 billion a year — including a big chunk of the state's discretionary funding. Much as it is with every budget, the program is primarily to blame for a projected state shortfall next year. Then-Gov. John Kitzhaber, who is considered the father of the OHP, decided it needed revamping. He shepherded the reforms through the Legislature starting in 2011, vowed to curb those shortfalls and tighten Oregon's belt when it came to OHP. Newly released internal state records, however, show the promises have not yet come true. Despite the frequent portrayal that the reforms have been an unvarnished success, and that the reforms are bending the cost curve of care, there's more to the picture. The overall cost of the OHP care organizations have grown at rates well above inflation, as much as 8.7 percent combined. The increases drove the majority of the entities — essentially insurance companies — into the red last year in terms of operating funds, before bonuses are taken into account, preliminary calculations show. "That would be big information," said Zeke Smith, chair of the Oregon Health Policy Board that oversees the state agency operating the OHP, after the Tribune informed him of the rising rates for cost increases. Smith, who was appointed by Kitzhaber to the advisory group in 2014, has examined the state of the OHP with other board members for most of the last year, as state officials prepare round two of the reforms. "I'm interested in this new information and I want to explore what it means," Smith said, adding that if the cost growth continues under the reforms, "I think it raises a real question about the sustainability of the system." State officials defend the progress made so far, pointing to a comprehensive state-funded evaluation performed by Oregon Health & Science University that found indications that costs have been reduced and care improved — much as the state promised. They say that the important figure is not the inflationary cost of care numbers unearthed by the Tribune, but the overall amount the state has paid the OHP's care organizations — a figure that until this year had stayed at or below the state's spending cap of 3.4 percent growth per year. Tina Edlund, Gov. Kate Brown's top health advisor, said the spending cap is helping pressure the reforms' care organizations to make change. But the most challenging times lie ahead. "I'm not saying the easy stuff is done, but I do think the work is harder now," she said. "I think we are hitting a tough part." Jeremy Vandehey, a top Oregon Health Authority official, agreed. "Transformation doesn't happen overnight," he said. "It was a big lift to stand up an entire new managed care system in 2012.... We've been ultimately able to keep our spending down, but it doesn't mean there aren't challenges and a lot of work to do." Driving the cost increases to a great degree has been boosts in drug pricing as well as new, more expansive drugs such as a new generation of therapies for Hepatitis C, according to records and interviews. Hospital costs also have been going up, according to state and care organization officials. Local OHP care organization officials say they are curbing the costs that they can. "Things that we cannot control, such as pharmacy, increasing benefits, and an unpredictable enrollment mix of the (Obamacare) adult expansion population, are rising at a much greater rate," said Kelley Kaiser, CEO for InterCommunity Health Network, which serves Benton, Lincoln and Linn counties as one of 15 coordinated care organizations managing OHP across the state. The idea sounded insane. But Kitzhaber had sounded that way before. In 1993, he'd spearheaded creation of the Oregon Health Plan that allowed the rationing of particular health care services, in the name of ensuring the greatest good for the largest number of Oregonians. 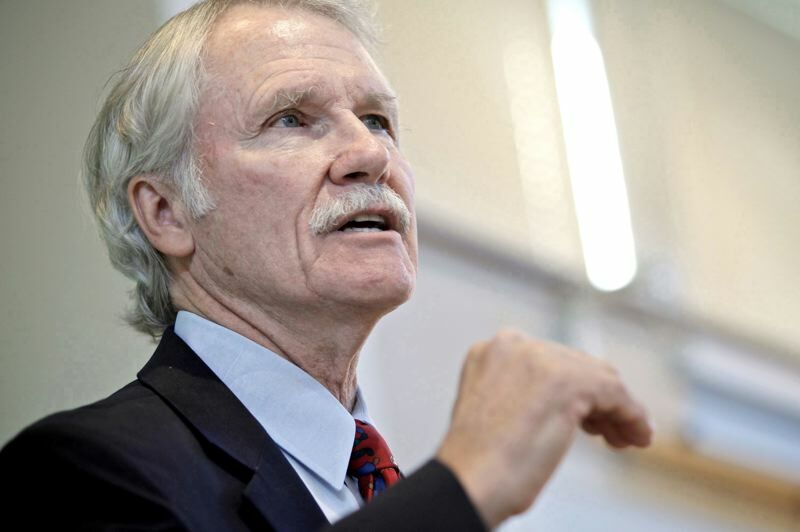 In 2010, after his successor Ted Kulongoski completed the second of two four-year terms, Kitzhaber returned to the fray and was elected to a third term as governor. In 2011, saying the Obamacare federal health reforms passed the year before did not do enough to control cost growth, Kitzhaber led reforms to the OHP that set up a network of what were called coordinated care organizations, or CCOs. Composed of doctors, county officials, hospitals and local care companies, the groups were essentially insurance companies granted regional monopolies by the state to serve OHP patients. 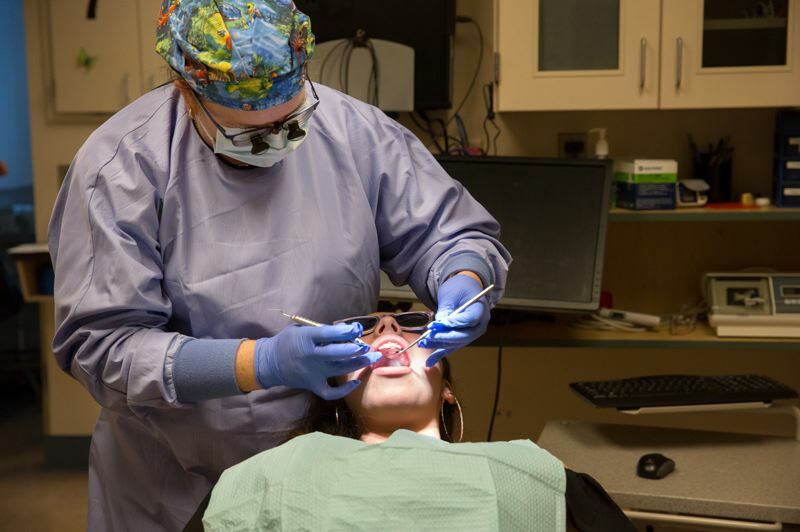 A mix of nonprofits and for-profits, they were intended to focus not only on physical health, but mental and dental health as well, integrating them to save money. Each one would receive a slice of state funding that it would oversee to best tend to its members' health through prevention and reducing costly care at hospitals, including emergency room visits. The idea? To transform what had traditionally been thought of as a second-tier brand of health care, and use it to revolutionize the national health care system as well. Early this year, OHSU's evaluation of the reforms at the five-year mark found that the system had been successfully reorganized in a way that could lead to positive change. It found mixed results on quality of care, but some evidence that care was cheaper, citing a comparison with similar Medicaid members in Washington. But when it comes to the care organizations' finances, it's been a different story. The Affordable Care Act, known as Obamacare, expanded the number of people eligible for Medicaid, including OHP. The Oregon plan's membership grew by more than 50 percent to cover more than a million people. The new members didn't use services as much as expected, contributing to significant profit margins for the CCOs in the first few years, as high as 7.3 percent, combined, in one year. Some individual CCOs made triple that figure. But as the underlying costs of care have gone up, the profit margins have shrunk and in some cases turned to red. Dr. Bob Dannenhoffer, who formerly ran a CCO in Douglas County, says the new, leaner times for CCOs in Oregon could make it harder to invest in money-saving measures such as supportive housing. "The problem is going to be when you're cutting money, or not growing as fast as expected, it's going to be really difficult" to invest in long-term strategies, he said. But Rep. Mitch Greenlick, D-Portland, doesn't buy the notion that CCOs are suffering, noting that many built up financial backstops using the profits of the early years of reform. "They all seem to have plenty of reserves," he said. He also disputes whether the reforms have seriously changed the cost trends, yet. For the most part, "We have not bent the cost curve," he said. "We have gotten the low-hanging fruit... That's not been a dramatic change in how we do health care." •Kitzhaber resigned in early 2015 in connection with an FBI influence-peddling investigation, and many of the Oregon Health Authority officials that had spearheaded the reforms followed him out the door. •The director Kitzhaber put in charge of the Oregon Health Authority, Lynne Saxton, had little experience overseeing Medicaid programs. Though she was skeptical of the Oregon Health Plan reforms, she never had the tools to exert proper oversight, many observers say. And her mismanagement of problems with Oregon Health Plan eligibility checks contributed to her ouster last year. •Federal regulators under President Barack Obama made decisions that were viewed as undermining the reforms. More recently, there's been uncertainty in light of the Trump administration's efforts to undermine the Affordable Care Act. •Overall, the combined cost of per-member care provided by the care organizations that manage patients in OHP has climbed between 6.7 percent and 8.7 percent each year since 2014. That's the year that federal reforms went into effect under the Patient Protection and Affordable Care Care Act, fueling a massive rise in OHP enrollment. •CareOregon, a Portland-based nonprofit that is involved with multiple CCOs, is reporting massive losses from last year's operations. •CareOregon's losses are reportedly fueling turmoil at Health Share of Oregon, the only care organization to serve Oregon Health Plan members in the tricounty region. CareOregon is a part of the collaborative, which is operated by the major hospital systems in the region. Janet Meyer, the longtime CEO of the group, resigned late last month for reasons that remain unclear. •Another care company based in Portland, Family Care, Inc. stopped serving Oregon Health Plan members in the tricounty region early this year after suffering huge losses and suing the state for higher reimbursement rates. Family Care CEO Jeff Heatherington said the cost trend proves what his company has long argued, that the state's method of setting reimbursement rates for CCOs is flawed. Now, the state health policy board is poised to approve recommended new reforms on Oct. 15, to allow a second round of five-year contracts. But Clackamas, Multnomah and Washington counties are publicly saying the changes don't go far enough. Among other things, the counties wrote in a recent letter commenting on the state's work, OHA has failed to evaluate and enforce the contracts and requirements that the care organizations already have. Many of the new reforms' goals "are already in place in some form but have never been enforced or results have not been reported," said the Sept. 17 letter, which was not signed, but bore all three counties' letterheads. Dannenhoffer, the former CCO executive, agrees that the state under Kitzhaber was too lax with the CCOs. "I think they were very laissez faire with the CCOs." But he also thinks the new round of reforms, called CCO 2.0, could go further and be bolder. Instead, it seems like significant fixes, but not a whole new reform. "I would consider this more like CCO 1.3," he said. This is the first article from the Portland Tribune's participation in the Reporting Fellowship on Health Care Performance, which is supported by the Commonwealth Fund and sponsored by the Association of Health Care Journalists.